Built during the “Gizmo Creatures Module” at my 1st term at the IDE. Inspired by the “Grab and Let Go Mechanics” of an Inchworm. 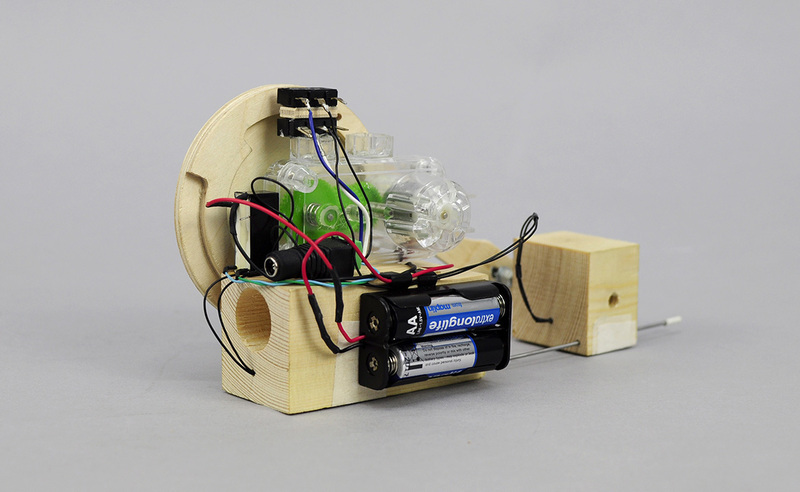 Built using a toy gearbox and motor, two electromagnets that go on and off correspondingly, perfectly synced with the compress and expand movement. 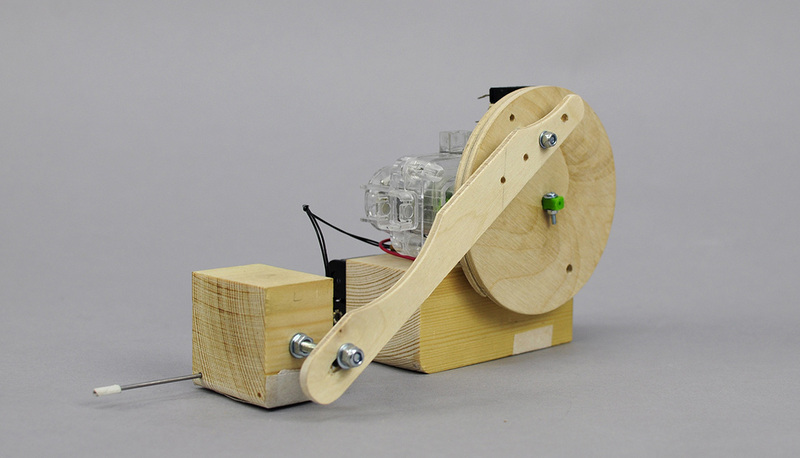 Using a simple analog timing mechanism that consists of two switches and a wooden wheel.